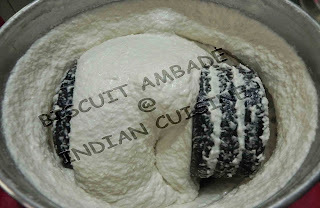 Biscuit Ambado is one of the favorite konkani snack item. 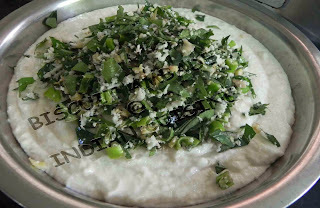 During any rituals or marriages, this delicacy is must. 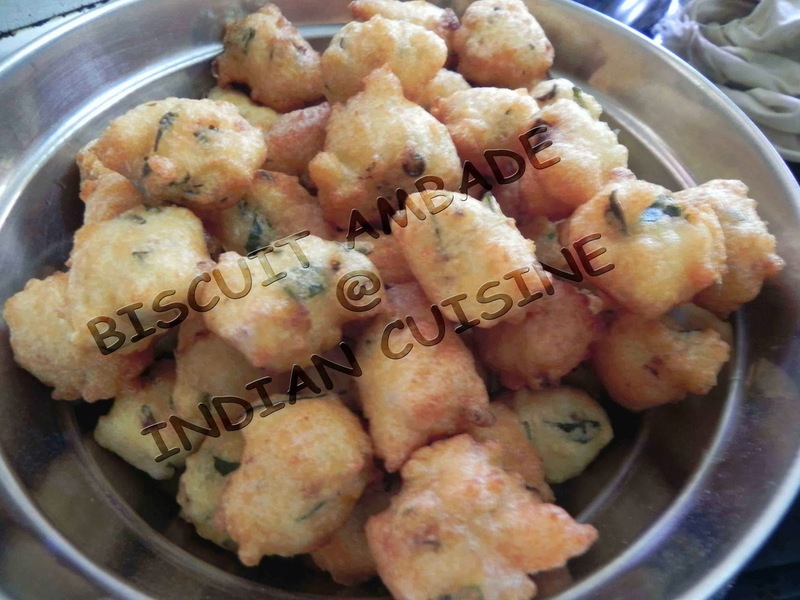 Kids love these vadas. 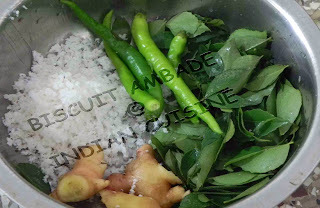 Soak ural dal for 3-4 hours. 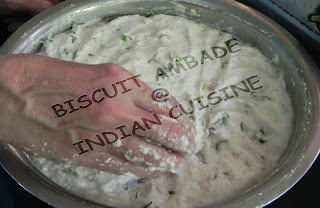 Grind the dal to a thick coarse paste without adding water. 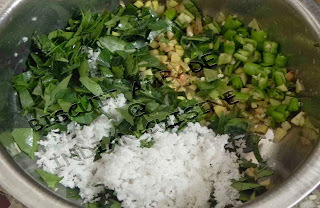 Add coconut, curry leaves, ginger, green chillies and salt. 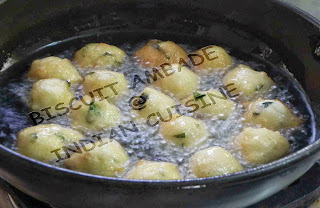 Heat oil in a kadhai and make small balls of the batter and deep fry them as shown in picture. 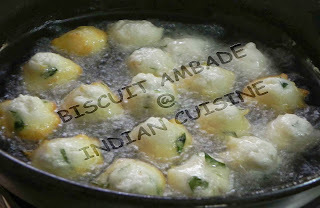 deep fry dollops of the batter till golden brown. 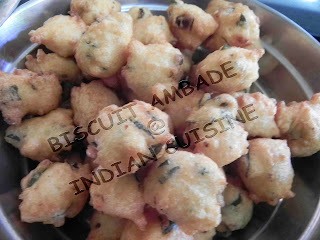 PS: Want a crisypy badas... add a handful of urad dal with skin in the batter.